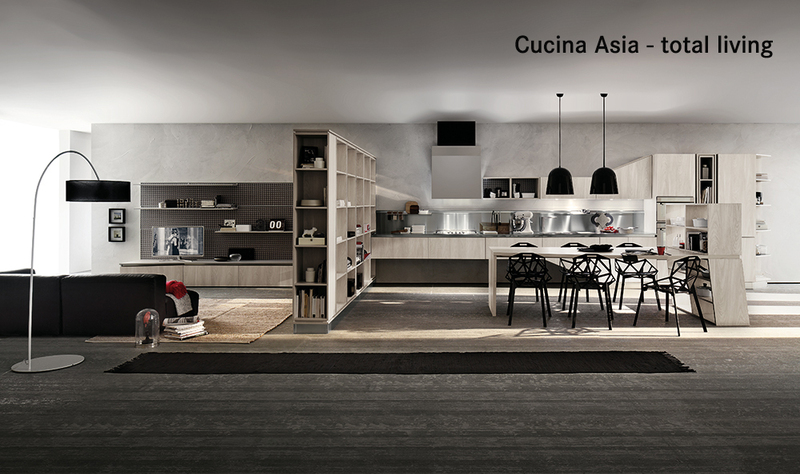 Modern Asia kitchen and living for a bright, open feel. 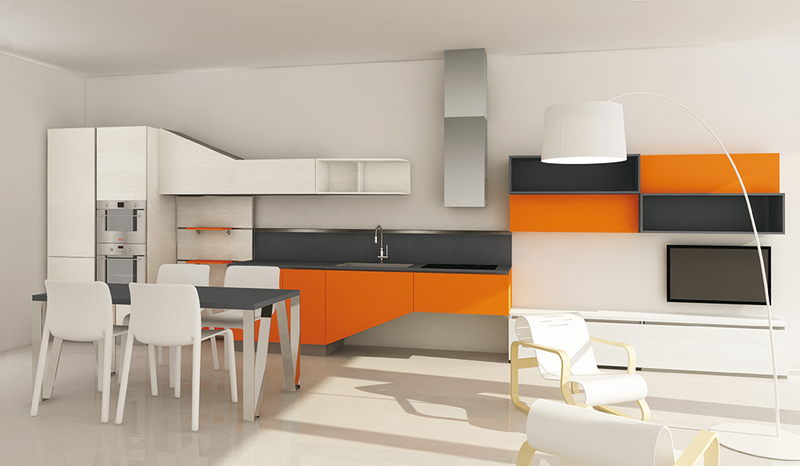 An ambient wide and bright. 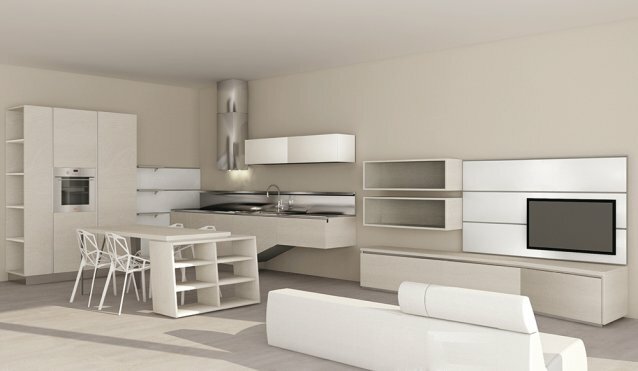 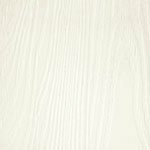 Soft colors and original design for a modern kitchen that embraces the living room, creating a bright and wide environment. 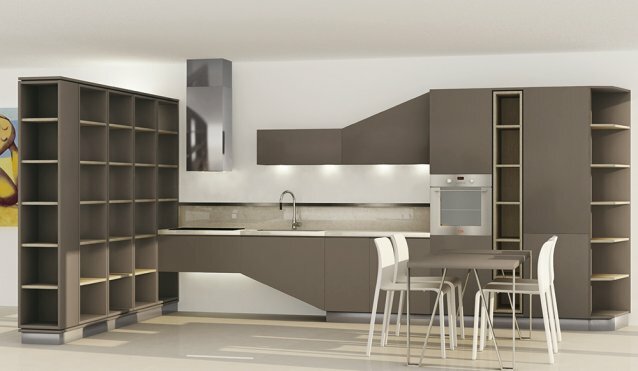 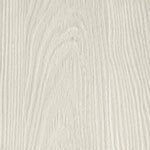 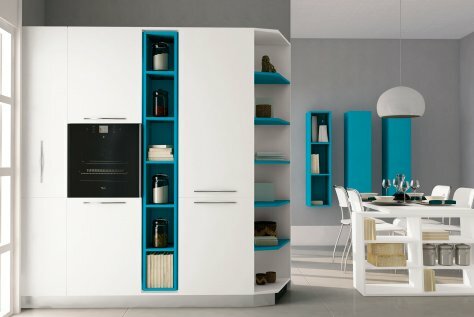 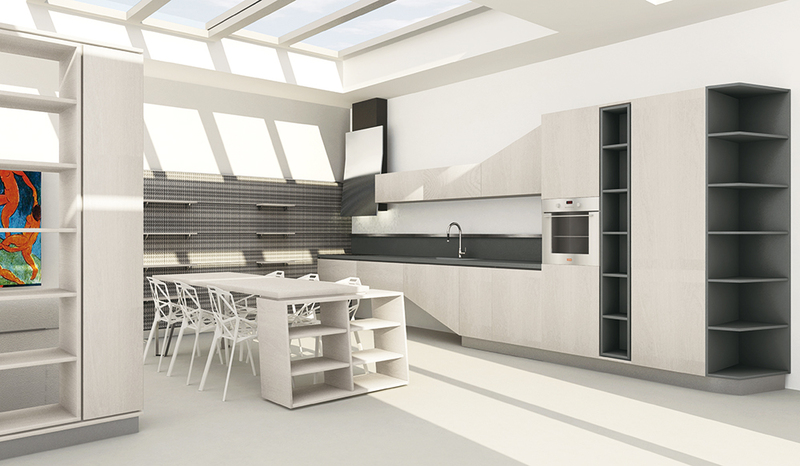 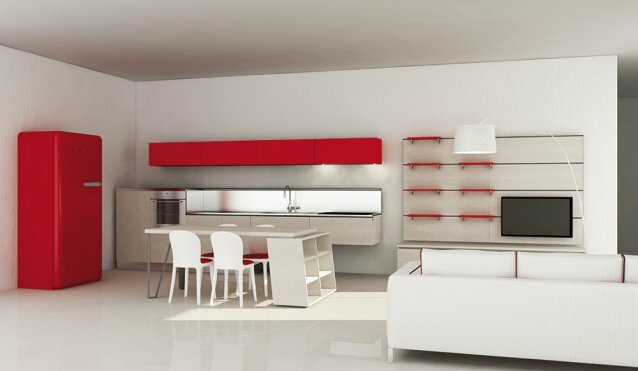 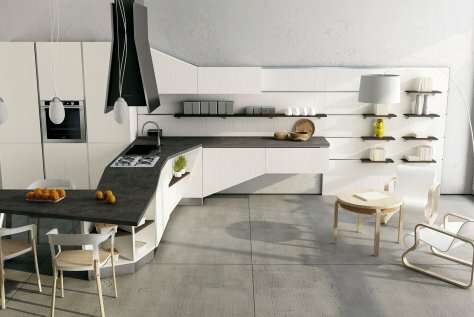 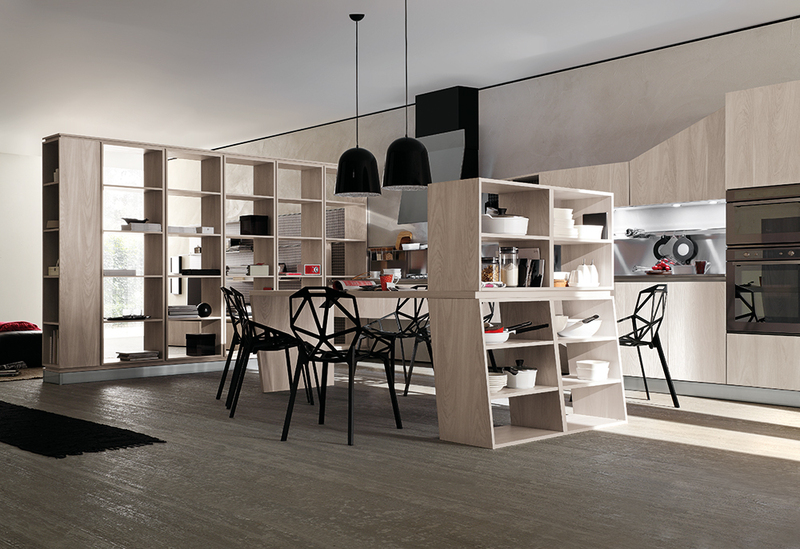 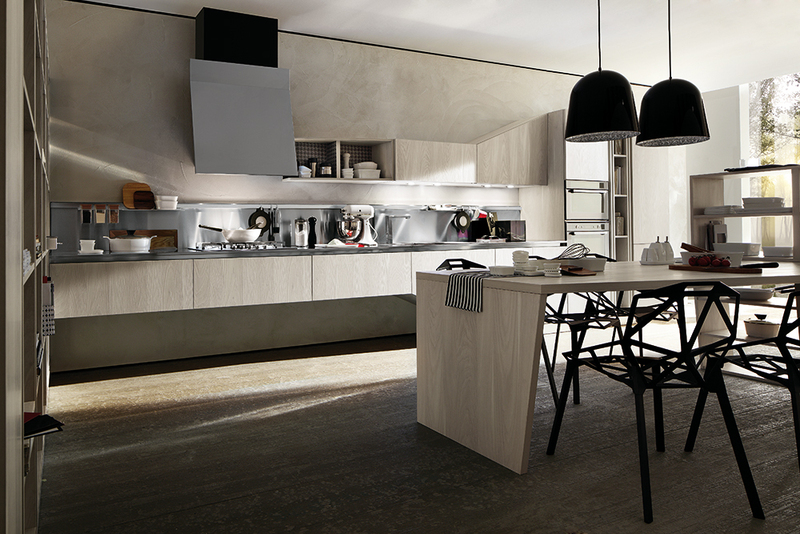 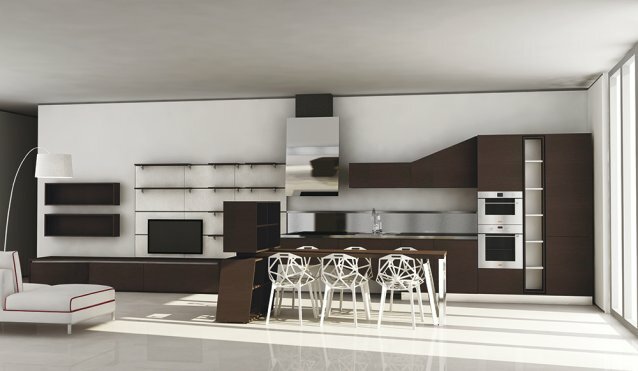 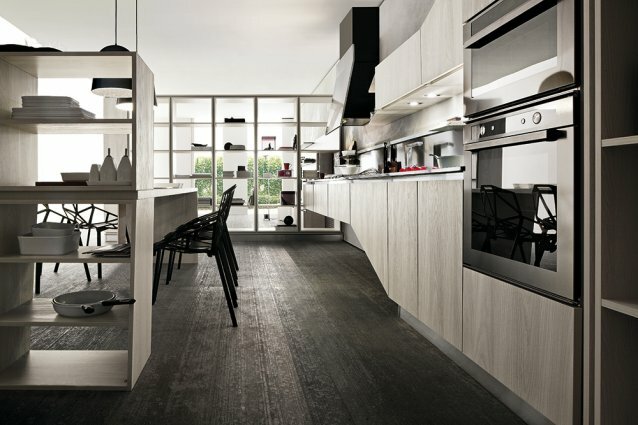 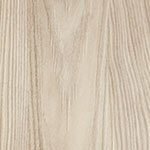 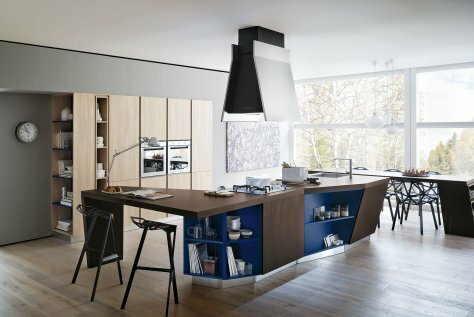 Designed for wide environments, the version Asia Total Living furnishes both the kitchen and living space while maintaining continuity of lines and finishes between them. 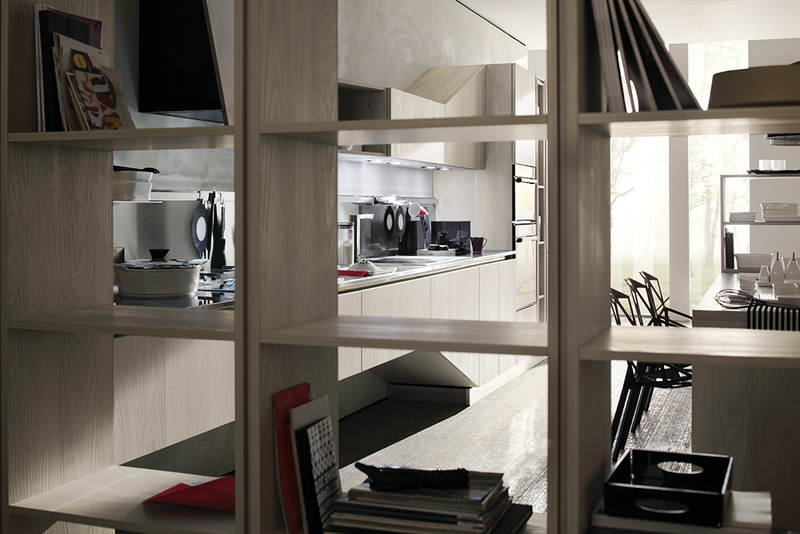 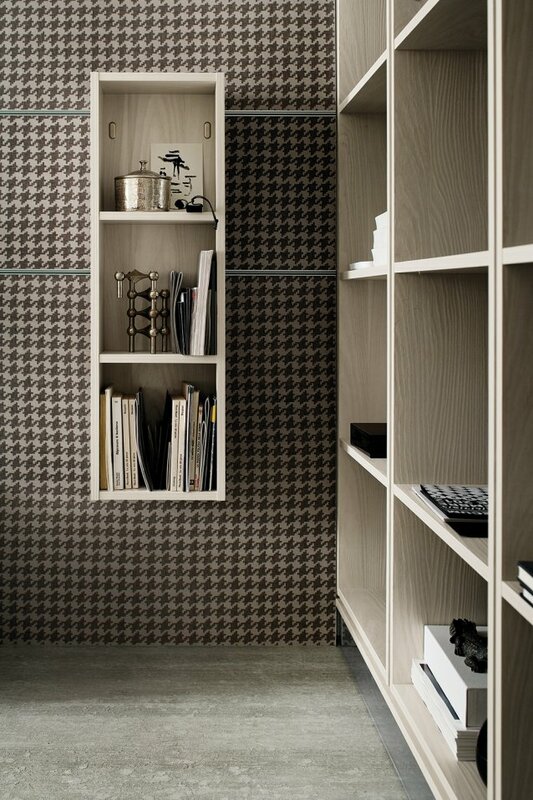 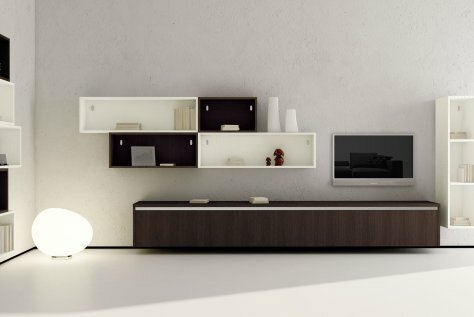 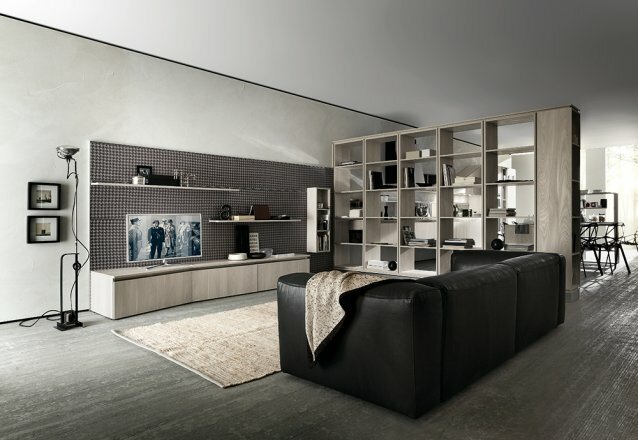 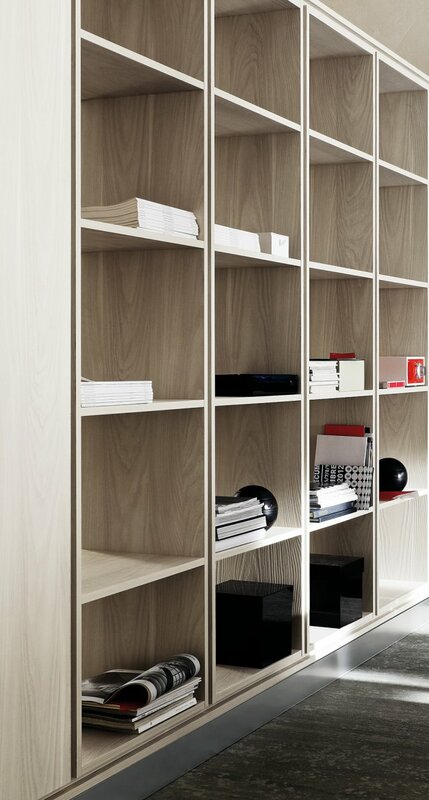 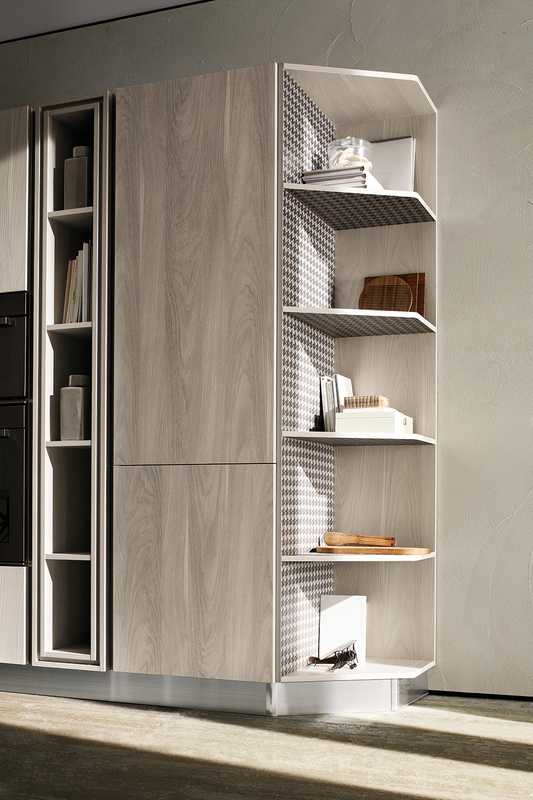 Shelves and bookcases, allow you to visually separate spaces, without dividing them. 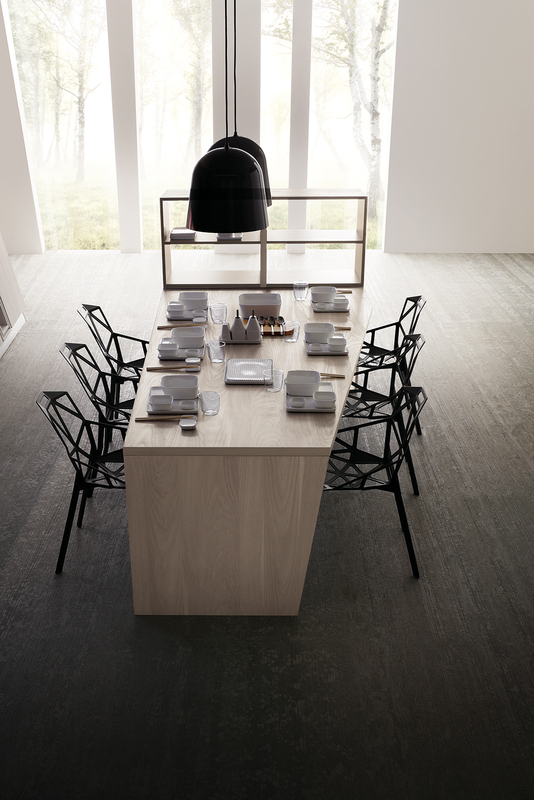 Combine to create an airy feel the essential shapes, the great functionality of retrenchments with flat gola opening, countertop in stainless steel and a palette of tones: Grey Seta, Pied de poule, and Papiro white finish.